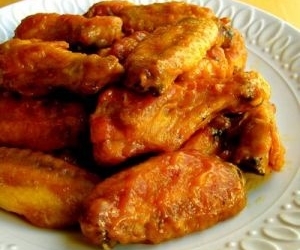 Hot Chicken Wings is a spicy chicken recipe with a touch of honey. Deep fry wings for 20 minutes. Drain. Dip and let set in sauce. Take out to dry and then serve.